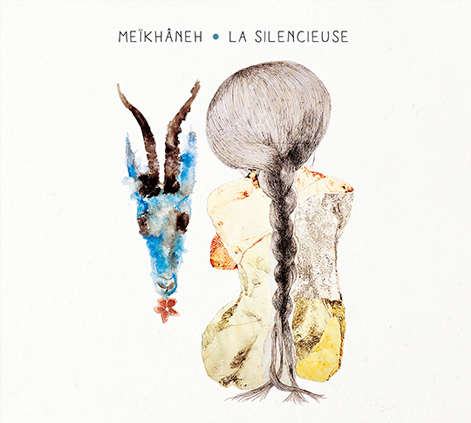 For their second album La Silencieuse, the trio Meïkhâneh, composed of Maria Laurent on vocals, Johanni Curtet on guitar, dombra and khöömii overtone singing, Milad Pasta on Iranian percussions, surrounded by three guests: Bijan Chemirani with the lutes tzouras, saz and percussions, Uuganbaatar Tsend-Ochir (Egschiglen) with Mongolian horse head double- bass ikh khuur and Martin Coudroy with diatonic accordion. 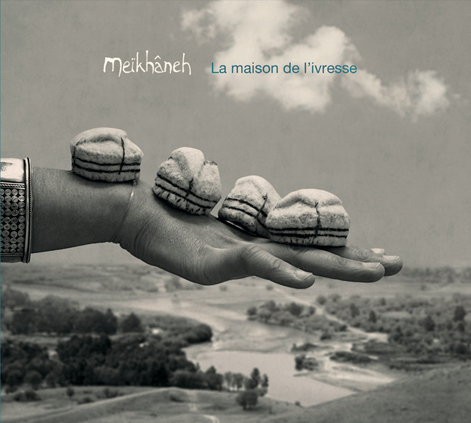 The album has been prepared in residence at Chantier (Center for the Creation of New Traditional Music and World Music) with the artistic advice of Bijan Chemirani. With the help of Le Chantier, centre de création des nouvelles musiques traditionnelles et musiques du monde, the funders of an independant crowdfunding campaign, La Ville de Rennes. Recorded at Studio du Faune, Montauban-de-Bretagne (France). Recording and mixing: Antoine Pinçon, Graine de Son, Rennes. Recorded in May 2011, in “La caisse à musique”, La Fonderie, au Mans. With the help of La Fonderie. Recording, mixing and mastering: Hervé De Caro, Music-Avenue.